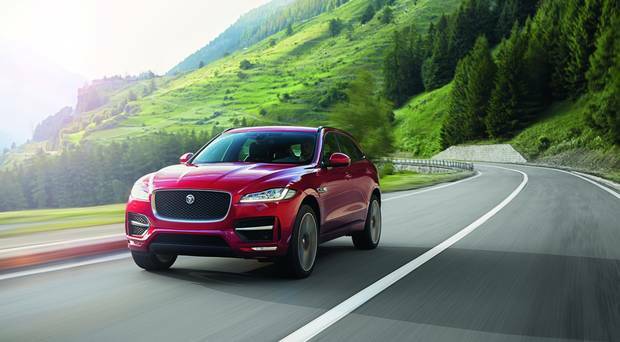 JAGUAR’S first SUV, the F-PACE, has won the World Car of the Year award. And in a major double for the brand, the F-PACE, which costs from €44,100, has also taken the global design title. It headed an impressive list of competitors for the overall award after the votes were compiled from 75 influential motoring journalists from 24 countries. Among those in the final shakeup for the main award were the Audi Q5 and Volkswagen Tiguan. And the F-PACE came in ahead of the Mercedes S-Class Cabriolet and Toyota C-HR to claim the World Car Design of the Year prize. The double win marks the first overall success for Jaguar at these awards. The Mercedes E-Class took the 2017 World Luxury Car title while the BMW i3 (94Ah) was declared the inaugural winner of the World Urban Car award. The Suzuki Ignis was runner-up. Meanwhile the Porsche Boxster Cayman took the World Performance Car gong. The winners were announced at a special event hosted by the New York International Auto Show, Bridgestone and Autoneum. *Eddie Cunningham is Ireland’s sole representative on the World Car of the Year jury.